The Belmont Stakes is a race that is either predictable or inscrutable-it often seems like there's no in between. When you handicap it correctly, it seems like everything comes together and you nail the trifecta. When you handicap it incorrectly, you can be surprised by not only the winner, but the entire superfecta. Part of it is the 1 ½-mile distance, which none of the starters have ever come close to tackling. Who will have the stamina to see out the distance? Or will every horse get tired in the final two furlongs, giving an advantage to speed horses that are right in contention at the top of the stretch? 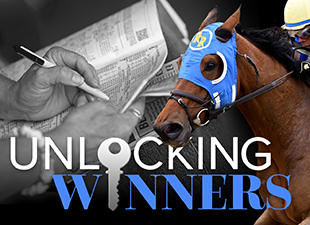 It's easy to believe that late-running deep closers will thrive with the extra distance of the Belmont Stakes, particularly those that were closing fast at the finish of the Kentucky Derby or Preakness Stakes. But often these strong late runs are illusions generated by fast early paces and slow closing fractions in the first two legs of the Triple Crown; in recent years, we've seen horses like Ice Box, Make Music for Me, Dullahan, Golden Soul, and Revolutionary close from way back in fast-paced Derbies, skip the Preakness, and then disappoint in the Belmont Stakes. That's not to say that deep closers can't be successful in the Belmont Stakes-occasionally, they run very well and even win-but taking a stand against horses that routinely drop 10+ lengths behind the early pace can be a good place to start in handicapping the Belmont Stakes. By the same token, favoring horses with good tactical speed can guide you to live longshots with a chance to win or hit the board at a huge price. Then there are the long, sweeping turns at Belmont Park. Getting caught wide on these turns can be disastrous, another reason why speed horses-who race on or near the rail-can out-perform the closers, who are usually forced to rally on the outside and lose ground. And in a field of thirteen horses, there's an even greater chance of horses getting caught wide, particularly those drawn in outside post positions. For all of these reasons, I think it's worth trying to beat the heavy favorite Exaggerator. Let me start off by saying you won't find a bigger Exaggerator fan than me. I've been a fan since his maiden win, and as some might recall, he was one of my strongest plays at the Breeders' Cup last year, where he finished fourth in the Juvenile. But while Exaggerator is by far the most accomplished horse in this year's Belmont, his greatest races-wins in the Santa Anita Derby (gr. I) and Preakness along with a runner-up effort in the Kentucky Derby-have all come with very fast paces that favored his late-running style. The Preakness in particular was a race that really fell apart, as the opening quarter-mile was the fastest in history and the closing fractions of :26.22 for the fourth quarter and :20.12 for the final 1 ½ furlongs were very slow. There are other reasons to consider playing against Exaggerator. For example, he's 3-for-3 on wet, sealed tracks and only 2-for-8 on unsealed tracks, and drawing post 11 could set him up for a wide trip, especially if the pace is slow and Exaggerator winds up racing closer to the lead than usual. There's also the quick turnaround from the Preakness Stakes-can Exaggerator handle three races in five weeks and produce another huge effort in the Belmont? I'll be the first to admit that trying to beat Exaggerator could be an exercise in futility. At this point in time, he's the best horse in the race by a wide margin and I won't be surprised if he romps to victory like Afleet Alex and stamps himself as the best horse of his generation. I wouldn't want to play any multi-race wagers without him, but in a race that otherwise looks wide-open, I think there's a chance to get a longshot winner home on top and make a big score, both in the win pool and in the exacta, trifecta, and superfecta. Also, since I tend to play against deep closers in the Belmont Stakes, I think horses like Cherry Wine, Trojan Nation, Lani, Brody's Cause, and Creator will be vulnerable as well. One deep closers that I do like is Suddenbreakingnews, who showed more tactical speed as a two-year-old and might revert to a more forwardly-placed style under the guidance of two-time Belmont-winning jockey Mike Smith. I noted before the Kentucky Derby that Suddenbreakingnews seems to do his best running in the homestretch and not on the far turn, but the wider turns at Belmont might enable him to start his run sooner and put himself in striking position at the top of the stretch. But for my top choice, I want a horse with proven tactical speed and a pedigree that suggests twelve furlongs won't be an issue. One horse that I have seriously considered is Gettysburg, who has been entered as a rabbit for stablemate Creator. The fact that he is a rabbit implies that he will set the pace and tire, but I think he has a strong chance to outrun expectations and possibly win the race. His record so far reminds me a lot of Commissioner, who was beaten a nose in the 2014 Belmont Stakes; like Commissioner, Gettysburg disappointed early on the Kentucky Derby trail, but showed improvement to hit the board in the Sunland Derby (known as the Sunland Festival of Racing Stakes this year) before finishing off-the-board in the Arkansas Derby (gr. I). But unlike Commissioner, who never threatened in the Arkansas Derby, Gettysburg actually ran well in that race, setting a blazing pace before tiring in the final furlong to finish fifth, beaten just 5 ¼ lengths. After that effort, Gettysburg cut back to one turn in an 8.5-furlong allowance race at Belmont, which drew a stakes-caliber field. The talented Gift Box won impressively in a fast time, but I thought that Gettysburg did very well to finish third after being involved in the early pace. Again, this effort reminds me of Commissioner, who prepped for the Belmont Stakes by cutting back to one turn in the Peter Pan Stakes (gr. II) and finishing a distant second. As a specific "rabbit," Gettysburg should have no trouble securing the early lead, and it might even be a clear and unchallenged lead. If Gettysburg gets out in front and gets into a comfortable rhythm, I think he can take this field a long way on the front end and maybe even win. The Todd Pletcher-trained duo of Destin and Stradivari also have a lot of tactical speed and should be forwardly placed in the Belmont. I find it difficult to side with one over the other, but slightly prefer Destin on the basis of his strong pedigree, victories in the Sam F. Davis Stakes (gr. III) and Tampa Bay Derby (gr. II), and solid sixth-place finish in the Kentucky Derby. Pletcher has enjoyed strong success with Derby also-rans in the Belmont, winning with Palace Malice and hitting the board with Dunkirk and Stay Thirsty, and Destin should save plenty of ground from post two to put himself right in the mix turning for home. But with all of that said, the horse I am picking to win the Belmont Stakes is Governor Malibu. A capable New York-bred trained by Christophe Clement, Govenor Malibu has shown steady improvement throughout his career and took a big step forward when second in the Peter Pan Stakes (gr. II) last time out. On that occasion, Governor Malibu settled near the back of the field through solid early fractions, but moved up strongly halfway through the race to reach contention. Despite having to wait in traffic on the far turn, Governor Malibu accelerated strongly once clear and cut the corner very well, running the final three furlong in a stellar :36 1/5 to fall less than a length short of catching the unbeaten Unified. I don't think we've seen the best that Governor Malibu has to offer, and with a strong pedigree (by Malibu Moon out of Akilina, a two-time stakes winner going a mile or longer), I don't think the Belmont distance will be an issue. He showed in the Peter Pan that he doesn't mind racing inside of horses, a valuable asset since he's drawn post position one, and having Joel Rosario in the saddle is a positive. Rosario won the 2014 Belmont aboard Tonalist, and as a friend on Twitter recently pointed out to me, Rosario has finished in the trifecta with his last four mounts in the Belmont. If Governor Malibu takes another step forward, I think he has what it takes to win this race. Now it's your turn! Who do you like in the Belmont Stakes?